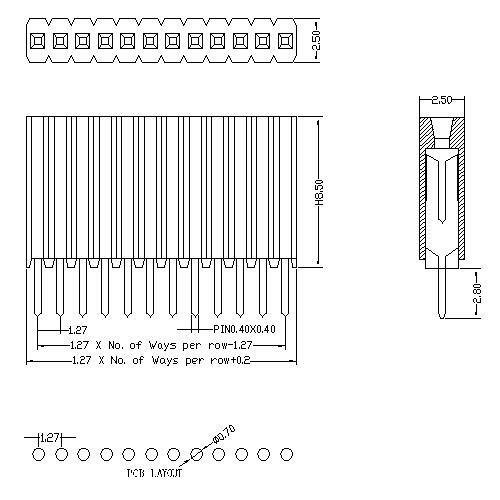 Antenk Electronics Co., Ltd. mainly distributes a wide variety of connectors, and now promotes a 1.27mm Female Header Single Row Straight Type (W=2.5 H=8.5). The company handle import-export rights, 65% of our products are exported to USA,UK,Germany,Italy,Korea,Russia, India,Israel,Canada,Southeast Asia,South of Amercia,Hong Kong,and Taiwan and so on. We also earned a high reputation and won trusts among users.Trust us, We will never let you down! Philosophy policy:perfect service;reamorable price;innovation continual; environment friendly;Environmental policies: Compliance with environmental laws and regulations, to pollution control, rational use of resources manufacturing green products, environmental awareness, continuous improvement of the envoronment! Business philosophy: integrity and pragmatic innovation thanksgiving. 3.Plastic High:8.50mm(Other sizes can be selected). Looking for ideal Plastic High 8.50mm Female Connector Manufacturer & supplier ? We have a wide selection at great prices to help you get creative. 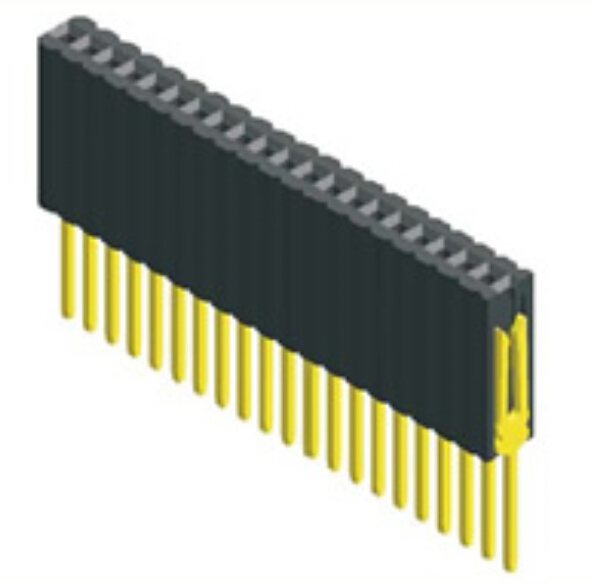 All the Plastic Width 2.5mm Female Connector are quality guaranteed. We are China Origin Factory of Board Female Connector. If you have any question, please feel free to contact us.